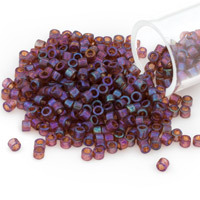 Miyuki Delica Seed Beads are made of Glass, come from Japan, are considered to be the best Seed Beads, due to their high quality, brilliance and uniform shape. 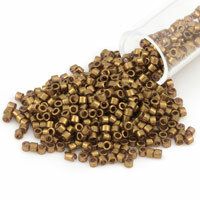 Miyuki Delica Seed Beads have a large hole to allow for multiple passes with needle and stringing material. 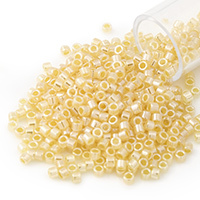 The edges and sides of a Miyuki Delica Seed Bead are very uniform and perfectly squared, lining up and fitting into place when used in Bead Weaving Projects or Loom work. 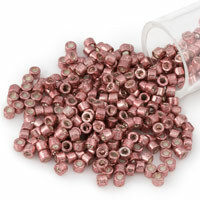 The most popular Seed Bead size is 11/0 (eleven-aught), or just “size 11”. 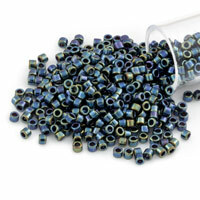 *Note: Due to weight variations caused by cut, color and finish, Beads per Package is an approximation only. 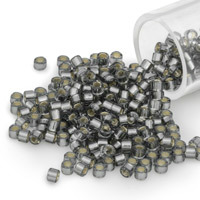 a very soft, blurred shiny finish. 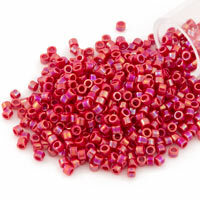 light is allowed to pass through the seed bead. 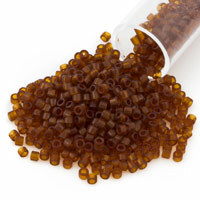 Think of this as a halfway between transparent and opaque. 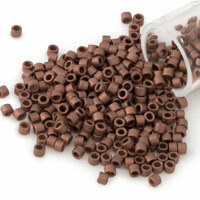 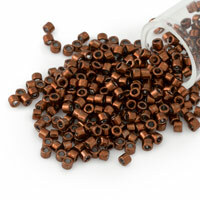 Some of the Delica seed beads are dyed, galvanized or plated. 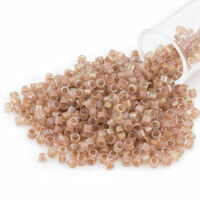 These treatments may come off if rubbed too hard, or used with any harsh chemicals.